the roadmap to meet the demands for my current project is a specific percent increase cadence toward that CAFE end goal. We are literally throwing everything we have currently to meet it, but falling short. Each new technology idea that is booked for development, typically must pass through an elaborate staging of scheduled milestones to prove it out, with much of that effort focusing on quality, safety, failure mode, etc. Management must now decide if they need to just expedite this well established process, effectively with the risks involved with doing so......or fall short and pay out. So what's a company to do? It's pretty easy to just throw aggressive CAFE targets far out there, but it is quite the other thing to achieve them all. Regardless, what we know for sure, is that vehicle prices will continue to rise. Someone has to pay for all this tech and light weighting. I have wondered to myself if the higher CAFE standards is another reason Ford is dropping so many of its cars. Actually, dropping cars will make it harder to achieve. That does explain though why everything will get electrification, to help achieve mpgs. As a side note, the entire company is on pins and needles as the company is offering early retirement plans, with management strongly urging those who qualify to take them. Next steps will no doubt be massive restructuring, plant closures and aggressive employee releases. ehaase and Bloggin like this. And the people who implemented these standards, as well as the folks writing these articles have no idea what it takes to reach these ridiculous standards. Their thought process is that automakers are just doing what they want.......and could make vehicles get much better mileage by just trying a little harder. The consumer is always going to buy the vehicles that get the best mileage and meets their needs...... in most every case. BEV mileage isn't a 1:1 gain either.......the energy has to come from somewhere. Ford's challenge seems to be that their 'electrification' plan is about 5 years too late. It was in 2011 when Ford announced a partnership with Toyota to develop a RWD hybrid drivetrain. Ford is just now ready to offer it in 2019 on 2020 models. Did it really take 9 years to develop a hybrid drivetrain, or did Ford put it on the back burner to save money and focused more on EcoBoost. Mind you, Toyota had a hybrid AWD system back in 2008. Now CAFE standards are a bit more difficult for Ford since they sell so many more large trucks and SUVs. But Ford is not helping themselves by discontinuing small and midsize cars, along with their hybrids, plug-in hybrids cars and the one EV. They seriously cant be making that decision while at the same time complaining about difficulties in meeting CAFE standards. Now with the end of Focus, C-Max, Fusion, Taurus, Flex and MKT, and no replacements scheduled before 2022 and the one EV not due until 2021, a lot of people will need to be let go. 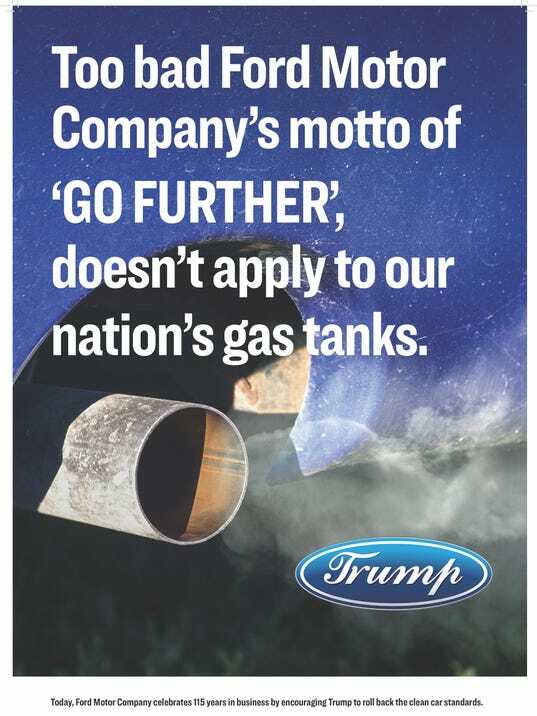 What's even more unfortunate is that the justification Ford gave for eliminating the 'cars' and focusing on SUVs was that they did not expect an increase in gas prices. Well, they got that wrong with consumers trending back to sedans and small cars. Now with the US instigated trade war in full force, and 25% tariff on imports from China and other countries, the idea of moving production to China just became even more of a bad idea. And the short lived lower tariffs for Lincoln models imported to China is gone within the month. Focus Active will cost about $6k more than Ford expected in the US, and puts it outside the market. And I don't see this nightmare ending anytime soon as the current administration is not good with negotiations. Then gas prices are on a steady increase nationwide with no decline in site, since the current administration has backed out of agreement that stabilized the pricing. Which makes sense as the oil industry owns the current admin very much like the NRA. But the good thing is that consumers will RUN to EVs, but unfortunately Ford won't have anything to offer, and the big crossovers/SUVs will continue to decline. So the question is will Ford continue down a path that is falling apart day by day, or will they do a reversal based on realities in the marketplace and the world. The people writing these articles are clueless on many matters. I would love to elaborate just a bit, but anything that smells remotely political on this site, gets sensored ASAP. Probably the only site on the web in fact that does that. Ford should have - once again -- stayed out of politics. I am angry at the rollback of environmental policies. The Obama rules were hammered out with the industry -- not against it. However, I see that with the cheaper gas, the resurgence in stupid low-mpg purchasing and more -- it is harder and harder to achieve these CAFE rules. EU does it better - tax the consumer choice ... want the thirstier model? Pay at purchase, pay at annual registration, and pay at the pump. We need to move on from driving massive inefficient cars ... this regulation, however was basically a Quixotian fight against market trends with a rule framework (CAFE) that never made any sort of sense.